The magical world of Roald Dahl continues to live on in films like Charlie and the Chocolate Factory, Matilda, The BFG, and The Witches. But the children’s author is also known for other works like The Enormous Crocodile, The Twits, George’s Marvellous Medicine, Going Solo, and so much more. Now all of those wonderful works will be presented to everyone in a series of animated features. You just have to have a Netflix account. 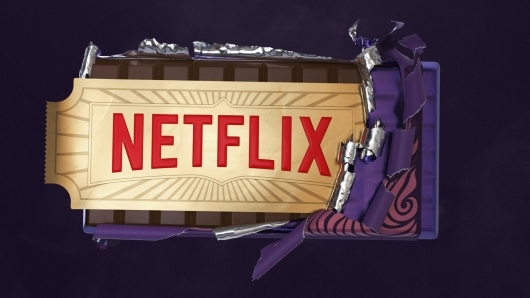 Netflix and The Roald Dahl Story Company made the joint announcement earlier today, and released a teaser video to commemorate the occasion. More on the announcement and the video below. The press release says a Roald Dahl universe of stories for global family audiences is coming to the streaming service, with an exclusive new slate of original animated event series based on books from the acclaimed and award-winning author’s best-selling library. This includes Charlie and the Chocolate Factory, Matilda, The BFG, The Twits, and many other beloved titles. Other titles include Charlie and the Great Glass Elevator, George’s Marvellous Medicine, Boy – Tales of Childhood, The Giraffe and the Pelly and Me, Henry Sugar, Billy and the Minpins, The Magic Finger, Esio Trot, Dirty Beasts, and Rhyme Stew. That’s a huge undertaking. Especially for a service like Netflix. But, Netflix has been behind some of the best recent films and TV series, and are no stranger to some quality animated titles. Now it will be interesting to see how these titles will compare to their live-action counterparts. Especially since there are a couple of live-action tellings already in the works. There’s the new Willy Wonka prequel from Paddington director Paul King. Robert Zemeckis is working on a new adaptation of The Witches, with Guillermo del Toro acting as producer. Production isn’t set to begin on the first feature until 2019. So we don’t even know which title will be released first.